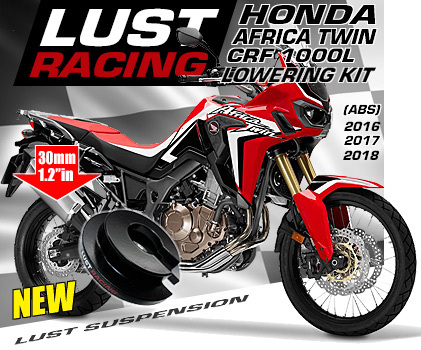 1.6 inch lowering kit Honda NC700X the lowering links in this kit are made in roll-forged steel. Reduces the seat height of the Honda NC700X will fit US year models 2012-2017 . Reduce the seat height with these lowering links for the Honda NC700X. The NC700X lowering kit comes with installation instructions. The rear suspension is lowered 1.6″ inches with this kit and the seat height is reduced as a result. This is an excellent modification for those Honda NC700X owners who find their bike a bit to high and have difficulties to reach the ground with both feet. The new suspension link arms or “drop-links” in this kit replaces the standard tie-rods. Unlike other kits on the market these links are made in roll forged special steel and are stronger than the standard Honda suspension links. Engineered, designed and manufactured in UK to the highest specs. These links will never fail and are dimensioned to last the lifetime of your bike. 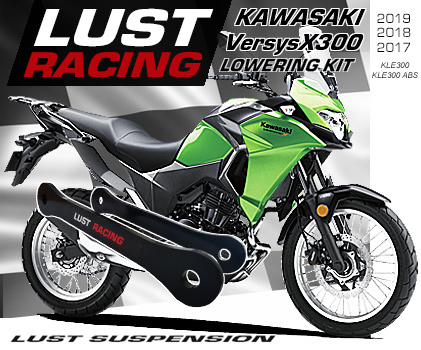 Did you know the suspension links are perhaps the most stressed parts on your motorcycle, do not fit lowering kits of inferior quality – when lowering your bike demand top quality Lust Racing lowering links for your bike and keep your bike safe. Easy installation and perfect fit.The suspension links have one bolt in each end so basically you are just two bolts away from a lowered and more enjoyable ride. Every short rider will feel the benefit of lowering the bike as it becomes easier to manouver tanks to the lowered point of gravity and the reduced seat height. No longer will you need to fear that you drop your bike when stopping at red traffic lights. 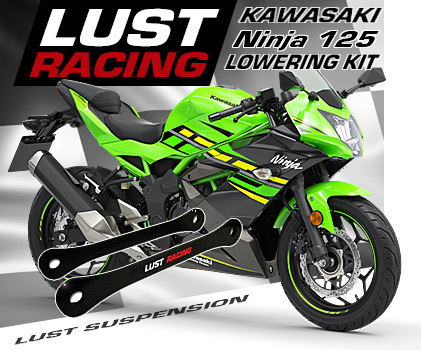 These lowering links are made in steel by Lust Racing Europe’s leading manufacturer of high quality motorcycle lowering kits.